ACA (Performing Artists Collective Alliance) is putting on a performance that is bound to give you chills, no matter who you are. 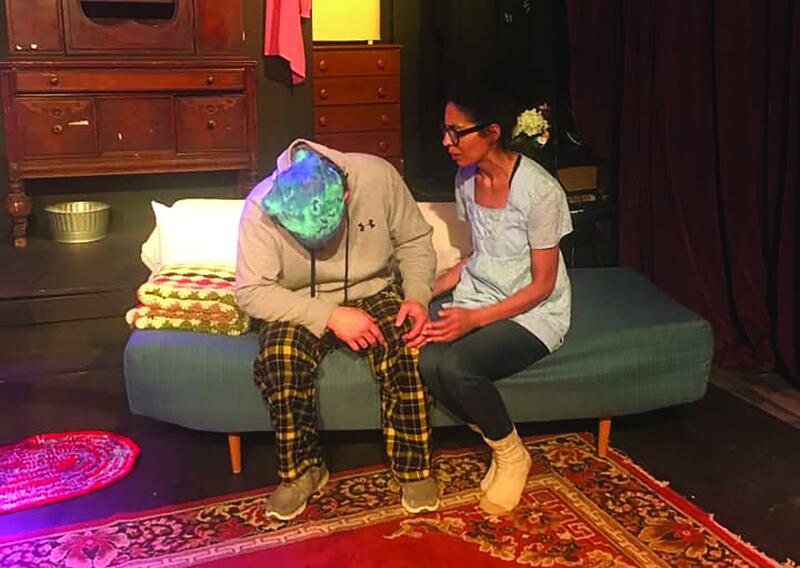 Hatful of Rain provides viewers with relatable family turmoil, and the devastating effects of opioid addiction that engulfs both our city and country alike. What is particularly striking about this play is that it takes place over 50 years ago. It originally debuted in New York City in 1955. While that may seem like a lifetime ago, all the issues the characters face and the family dilemmas that arise are just as relevant today. Mark Tanenbaum, artistic director of PACA, explains that "the plot isn't trite. The addict in this story, Johnny Pope, played by Jason Fried, is a Korean War hero. Like many of the addicts we know, he becomes addicted to painkillers in the hospital. He is sent home where he is forced to turn to the street to support his habit. He is a family man. He has a wife (Krista Perry) and a brother (Paul Lukach) upon whom he has always relied. He is the apple of his father's (Victor Kuehn) eye." Hatful of Rain is a play about the characters. Tanenbaum assures that "all of the characters are far from being two-dimensional. Even the drug dealer, Mother, played to subtle perfection by John Schaaf, is layered and complex." If none of this has struck home yet, how about this? "Money is a recurring motif in the play. Each character at some point in time is motivated by money. It's a driving force, almost like addiction itself. It is also a very proto-feminist play with Celia Pope taking charge of the solution and her family at the climax … Even the set design reflects the sense of being closed in and with few options," says Tanenbaum. We all face demons at some point. There are times when money is tight, or seemingly out of reach. Whether or not we personally know someone who struggles with addiction, we can't ignore the devastating effects of drug addiction that seems to consume both our city and country. Hatful of Rain offers an insight into these issues, and pulls you in with empathy. Tanenbaum clarifies: "This play isn't just about drug addiction. PACA is presenting a family drama about recrimination and reconciliation. Hatful of Rain addresses family secrets hidden within the four walls of a home. It highlights the fine line many walk between being supportive and enabling. It is about love, damage, and forgiveness. It shows us how a crisis can actually bring us closer and reverse years of backward vision. It's beautifully hopeful."